Purse Keys and Babies: Affordable Wedding Dresses and More! Affordable Wedding Dresses and More! It was a few years ago when I bumped into cheap clothing store online and of course there's a lot of them everywhere. And yes, I have made a purchase and even told my close friends to try their clothes. So, today, I got an opportunity to write about an affordable wedding and flower girl dresses. This makes me remember the day when I picked my wedding dress online. That was seven years ago. Time flies by so fast. I cannot believe it. It was fun and I thought it was hassle-free. 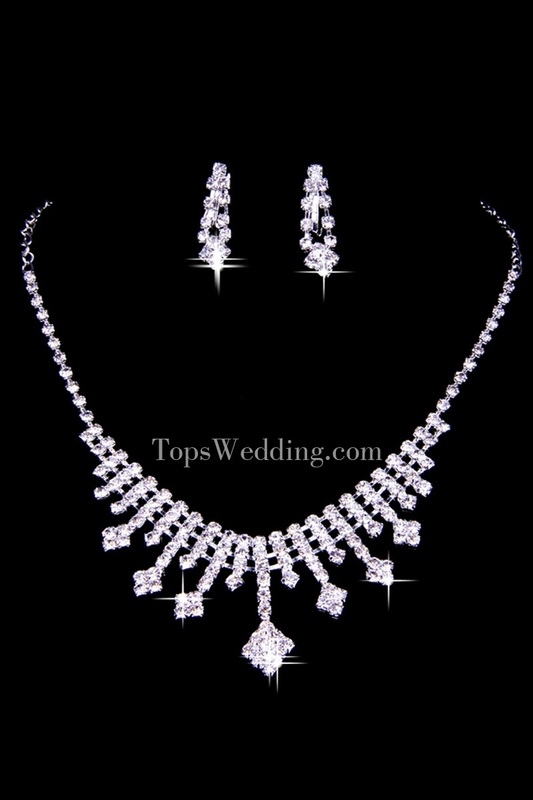 At Topwedding, you'll find all the dresses for your entire family, relatives and friends. 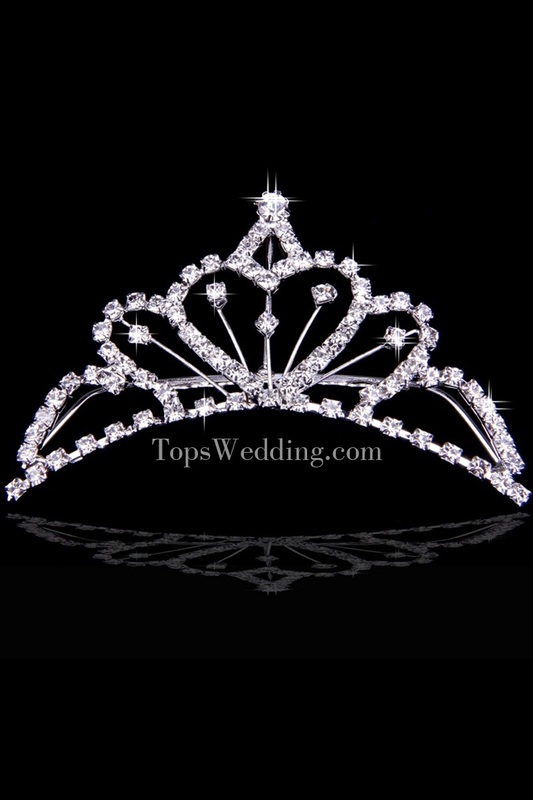 Anyway, Topswedding is an online store of wedding dresses, cocktail, evening, prom, celebrity, holiday, graduation, and homecoming dresses, and offers free shipping if you order more than 79.99 dollars. I think that's a good deal. I went to their accessories, I am just stunned by their wedding veils. Also, they have different kinds of prom dresses. And if you are into cocktail dresses, you can visit them and pick your favorite designs. The headpieces and the jewelry can be worn on various occasions. So far, I would get these if I get to choose a wedding dress and accessories again. They do have lovely wedding gowns. I had fun and I would recommend it to a friend. "The dress is very romantic and gorgeous. 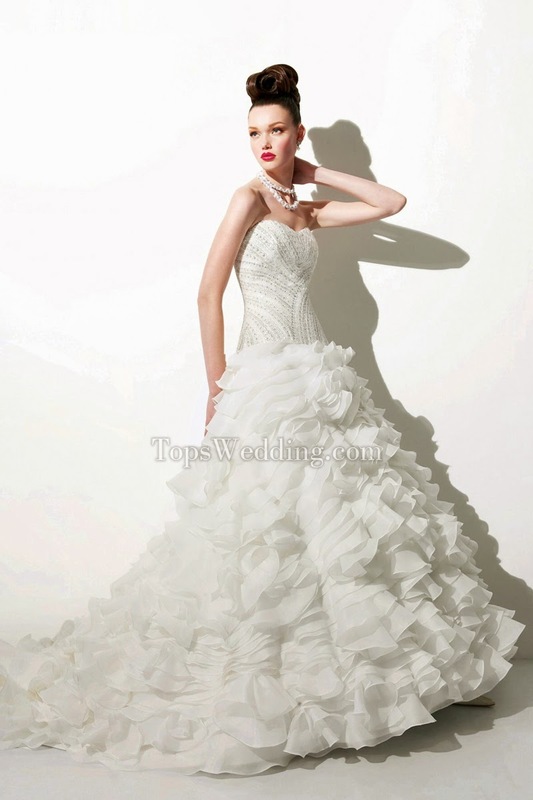 The beading on the upper dress can well modify your figure and makes you look more attractive. The ruffles on the hemline is also very dramatic and glamorous. The court train is also very romantic and chic to show your beauty." So I picked my most favorite items from their website and I am going to make an album on my Pinterest here pretty soon just for wedding dresses and accessories. I am getting excited. Anyways, I really took my time, and I enjoyed every minute of it. It's kind of fun to look around. Dresses like these are just fascinating. I get to see all the other dresses that they have, too. 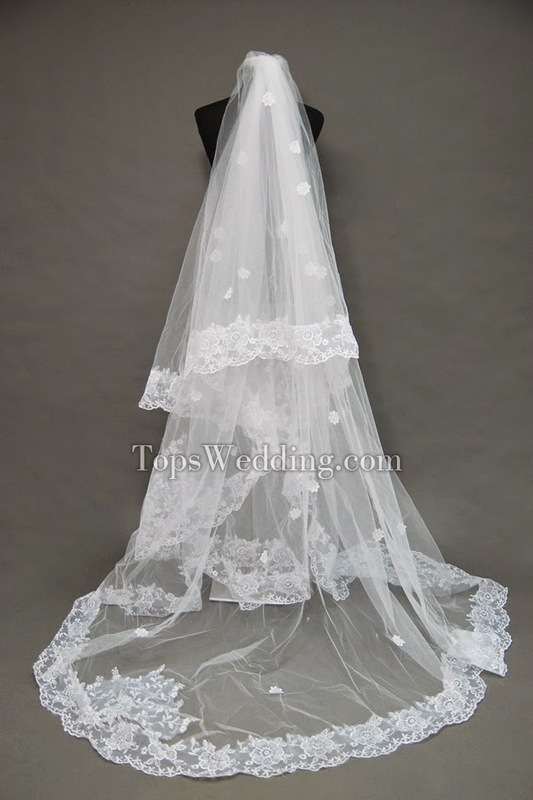 And by the way, I found a wedding veil for 10 dollars only. I am shocked. It was very simple but it was elegant. Crap, I want to be a bridal model now, and I am not kidding. Oh well, that's one of my dreams 'cause I am so short, and nobody, nobody would hire me. Okay, let us not forget to Pin the stuff here, or you can go ahead and visit their website and Pin your favorites. So, I'll go ahead and post mine. Don't forget to follow their Pinterest board, too. You can also visit them on Google+, Tumblr, and Facebook. By the way, I'd like to take this opportunity to say thank you for dropping by and I hope you'll have a gorgeous day today. I hope to see you next time. Happy pinning!